The All India Institute of Medical Sciences, New Delhi was popularly known as AIIMS conducts the most prestigious entrance test exam i.e. the AIIMS entrance exam at National level for admission into graduate medical course i.e. the MBBS. To be eligible to give the AIIMS entrance test, the candidate must be a citizen of India and should be of age 17 years. A candidate who is an Overseas Citizen of India (OCI) is also eligible to give the AIIMS entrance exam. Also, the candidate must have passed 10+2 from a recognized board with Physics, Chemistry, Biology, and English with 60% for general category. There are some relaxations in % for other category candidates. Those appearing for the class 12th exam are eligible to apply. AIIMS entrance exam is conducted at various exam centers in all the major cities across the country. 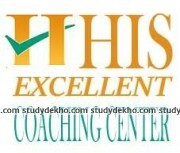 The AIIMS exam is usually held in last week of May or the first week of June. After the exam, the merit list is prepared and counseling sessions take place. 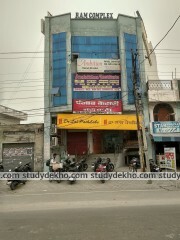 AIIMS is a computer-based entrance exam i.e. it is conducted in an online mode (in both English and Hindi language). There are total 200 multiple choice and reason-assertion based questions with 1/3 negative marking for each wrong answer. It is divided into 4 parts (Subject: Question ratio): Physics–60, Chemistry–60, Biology–60 and General Knowledge-20. The exam duration is 3 hours and 30 minutes. 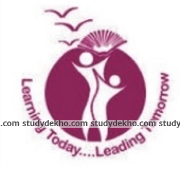 AIIMS exam syllabus includes medical stream subjects studied at 10+1 and 10+2 school level (English, Physics, Biology, and Chemistry) and General Knowledge. For AIIMS entrance exam 2017, following are the most important topics in each section. The AIIMS entrance exam is generally held at the end of May, most probably, on a Sunday. The result of the AIIMS entrance exam is generally announced by mid-June after which the counseling for the seats in medical colleges begins. Since AIIMS is the most popular and prestigious medical institution in India, the AIIMS entrance exam is the toughest one to crack in one go. Therefore, extensive preparation and hard work are required on the part of the candidates. Getting admission into any branch of AIIMS is like a dream career for almost all the candidates aspiring for Medical Profession. The faculty of Doctors at AIIMS enjoys the privilege of being the Topmost paid and recognized Doctors in the country.